@AEG: “Steel on Steel” by Shawn Carman. @Beneath Ceaseless Skies: “The Gardens of Landler Abbey” by Megan Arkenberg. @Beneath Ceaseless Skies: “Princess Courage” by Nadia Bulkin. @Daily Science Fiction: “Meet Archive” by Mary E. Lowd. @Daily Science Fiction: “Silver Sixpence” by Craig Pay. @Daily Science Fiction: “Everyone Gets Scared Sometimes” by Ari B Goelman. @Daily Science Fiction: “Sand-Child” by Marie Croke. @Fantasy Magazine: “Red Dawn: A Chow Mein Western” by Lavie Tidhar. @Fantasy Magazine: “The Swordsman Whose Name Was Not Death” by Ellen Kushner. @Kasma: “Life Plus Seventy” by Ken Liu. @Lightspeed: “Snow” by John Crowley. @Mindflights: “Pocket Gods” by Philip Hoshiwara. @Notes From the Lair: “Invasion: 2012 by Dr. Ace T. Jericho, Rogue Journalist” by Abner Senires. @Ray Gun Revival: “Sheep Lie!” by Barton Paul Levenson. @Ray Gun Revival: “Thousand War Soldier” by Mjke Wood. @Red Lemonade: “The Sovereignties of Invention” by Matthew Battles. 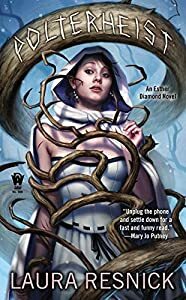 @Tor.com: “The Rotten Beast” by Mary E. Pearson. @Kat and Mouse: “Into The Woods – Part Ten” by Abner Senires. @Paizo: “Faithful Servants – Chapter One: Down at the Clever Endeavor” by James L. Sutter. @Beam Me Up: “Clock Work” by Erin Bassett (Urban Fantasy) and “The Boy Who Could Bend and Fall” by Ken Scholes. @Beneath Ceaseless Skies: “To the Gods of Time and Engines, a Gift” by Dean Wells. @Escape Pod: “Thanksgiving Day” by Jay Werkheiser, read by Paul Haring. @Fantasy Magazine: “Red Dawn: A Chow Mein Western” by Lavie Tidhar, by Lauri MacMillan. @Lightspeed: “Snow” by John Crowley, by Stefan Rudnick. @19Nocturne Boulevard: “People Who Live in Wax Houses” by Julie Hoverson, performed by full cast. @PodCastle: “Black Swan, White Swan” by Eugie Foster, read by Abra Staffin-Wiebe. @PodCastle: “This Strange Way of Dying” by Silvia Moreno-Garcia, read by Marguerite Croft. @Pseudopod: “The Poor Girl Taken By Surprise” by Gemma Files, read by Julia Rios. @Pseudopod: “The Stink of Animosity” by Rob E. Boley, read by Rish Outfield. @StarShipSofa: “Raft of The Titanic” by James Morrow. @Author’s Site: “The All-Pro Episode #5” by Scott Sigler. @Beware the Hairy Mango: “The Careerist’s Guide to the Sea, Part 3” by Matthew Sanborn Smith. @Ray Gun Revival: “The Worker Prince – Chapter One (part one)” by Bryan Thomas Schmidt. @World SF Blog: “The City of Silence – (Part One)” by Ma Boyong, translated by Ken Liu.